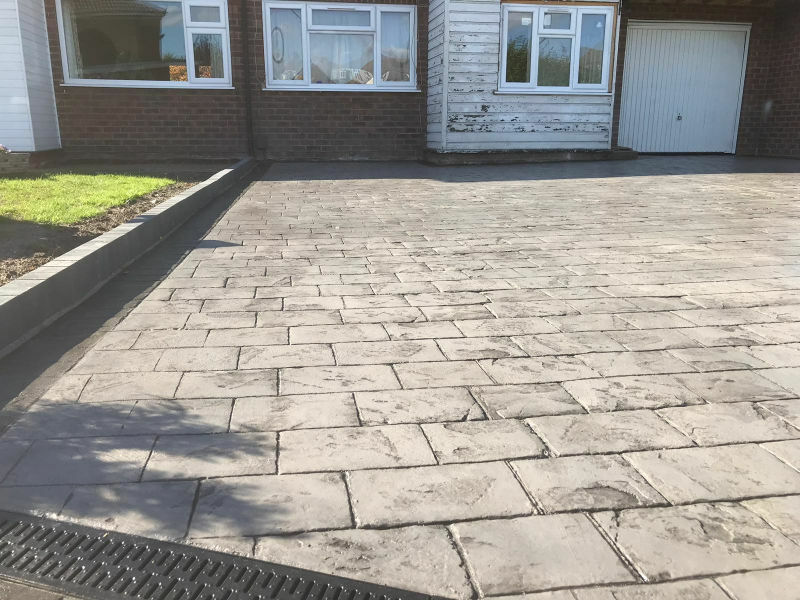 Lasting Impressions recently installed a brand-new pattern imprinted concrete driveway in Timperley. The project also included a pathway and patio to the side and back of the house. You can see what was involved from the photographs included. 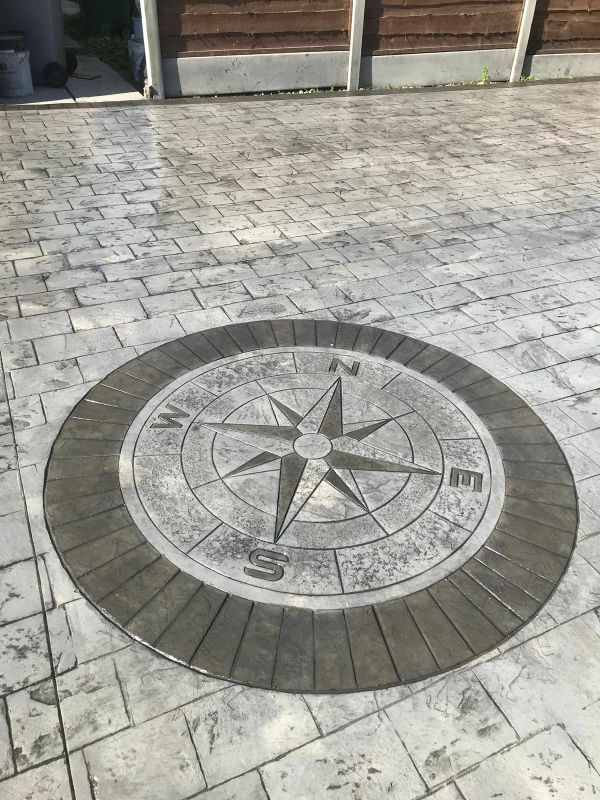 From the endless colour and pattern combinations that you have if you opt for pattern imprinted concrete, our clients chose Walkway Slate for the pattern, coloured in platinum. 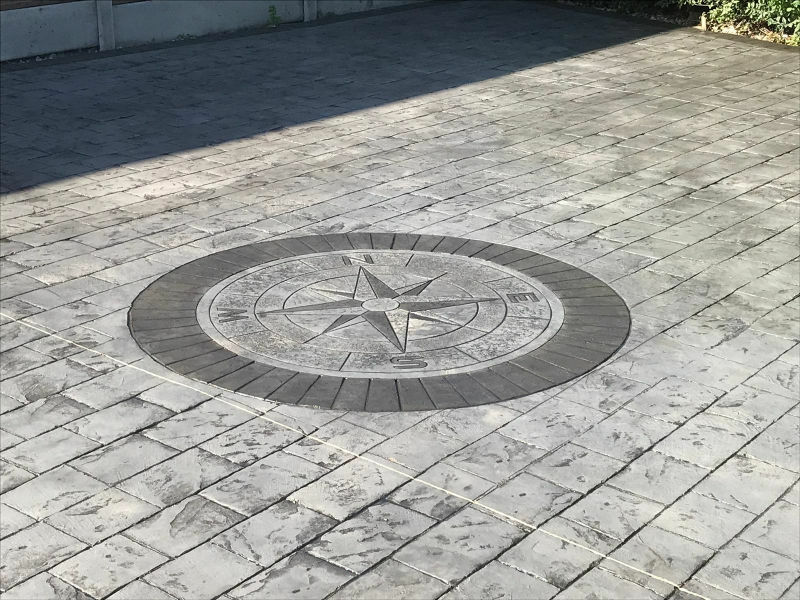 To create texture and depth to the appearance of the driveway, patio and path, a charcoal release was also added. Again, you can see from the photographs the stunning results. At Lasting Impressions, we can take care of everything that is needed in order to complete the project. 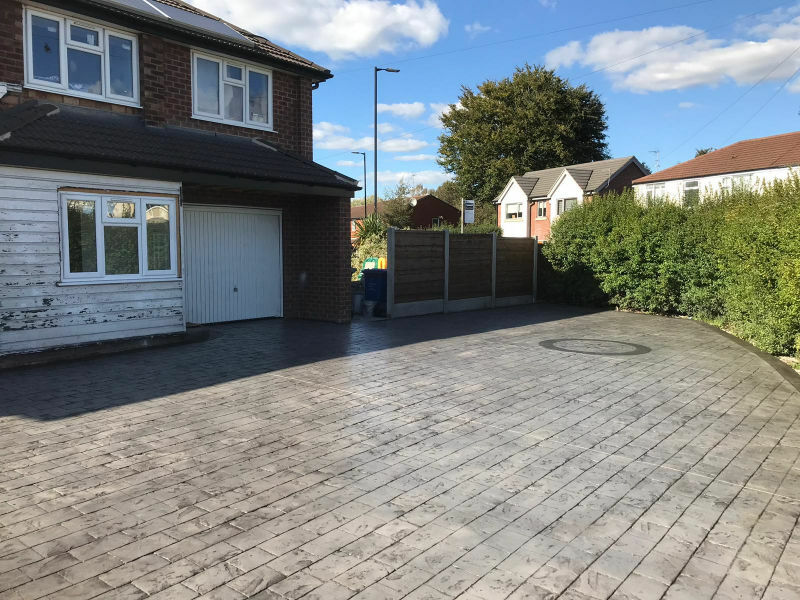 For example, in this instance we erected a fence down the side of the property and included a gravel trim to nicely edge off the concrete and complement the fence. 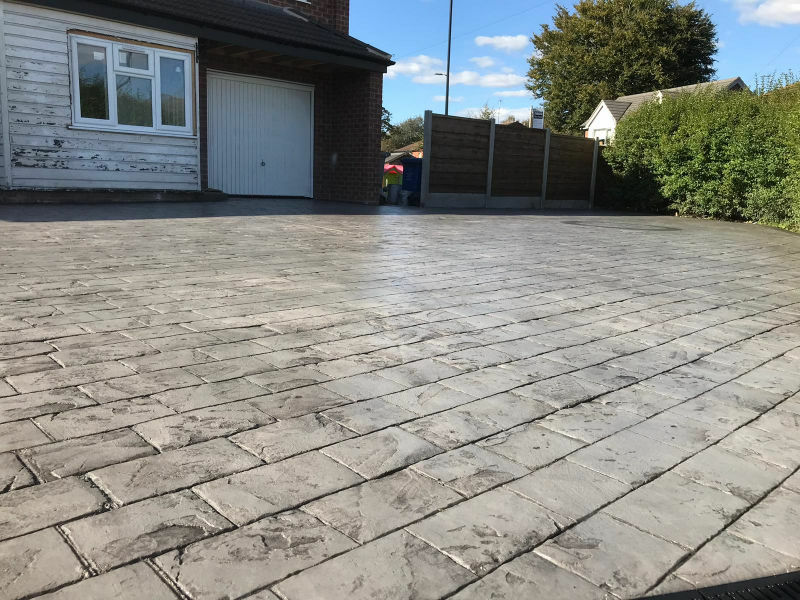 Throughout the whole process of installing the new pattern imprinted concrete driveway in Timperley, we ensured a minimum amount of disruption. For more information about having a pattern imprinted concrete driveway in Timperley give Lasting Impressions a ring on 0161 980 8822. For your peace of mind, you can be assured that we only use quality products and never cut corners by using cheaper or inferior products. We also maintain a high standard or workmanship on every project we complete. 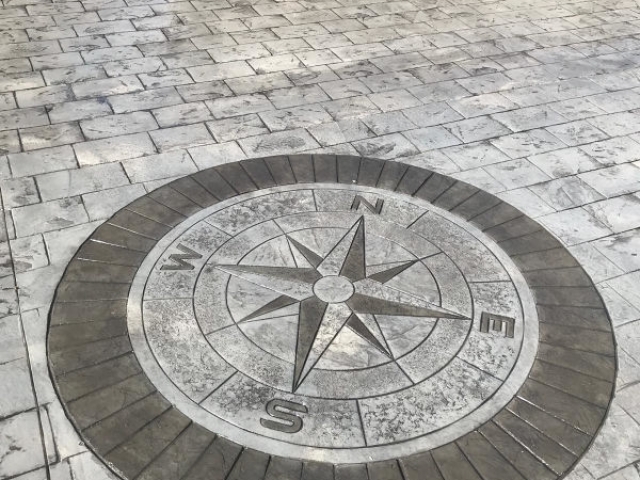 While we work mainly on driveways, patios and pathways, we can accommodate whatever area you want a pattern imprinted concrete installation. It is guaranteed to transform the area and add value.